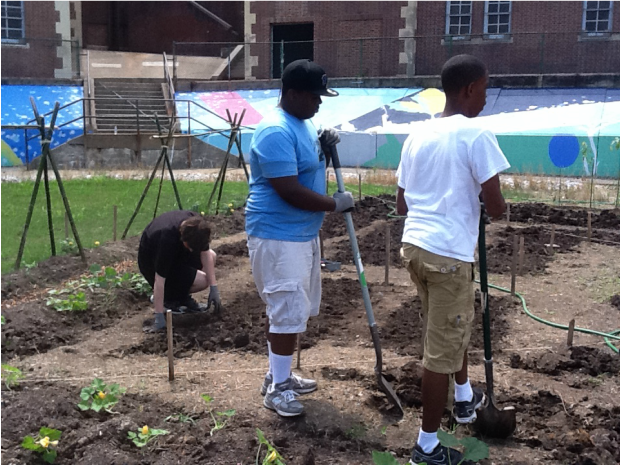 WIth the support of the Mayor's Office of Employment Development and the Baltimore City Foundation, students from ACCE worked with teacher WIlliam Moeller to grow vegetables for sale and donation to neighbors, staff, families and students. They grew the vegetables both from seeds and from purchased plants. They constructed plant supports from bamboo, built a compost pile, and cared for existing fruit trees. They learned about organic farming methods as well. While growing vegetables, they also cared for the existing native plant gardens and planted a shrub border to reduce the possibility of runoff from the field at the back of the school. 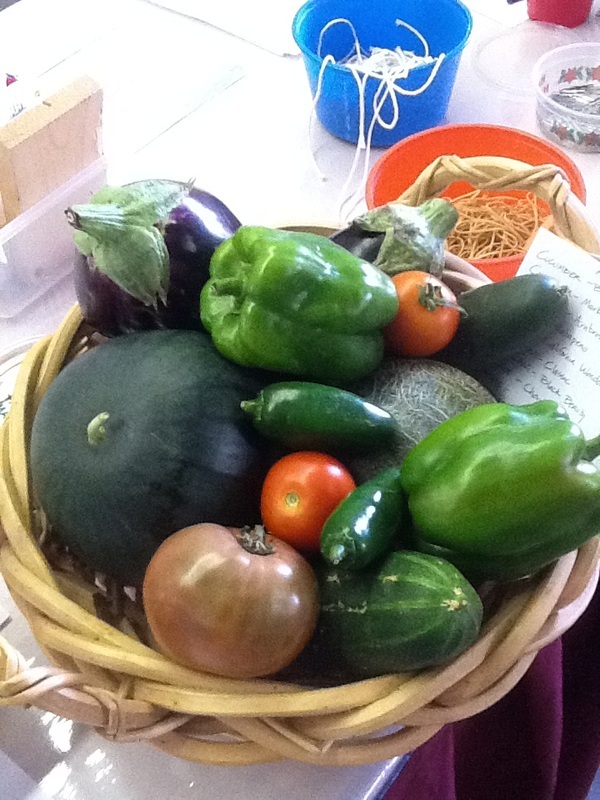 At the end of the summer, the students entered their vegetables in the Maryland State Fair and were awarded the Presidents Award for their efforts.